We offer seperate Summer and Winter leagues at Chesswood Arenas as well as a Summer league at Westwood Arena. 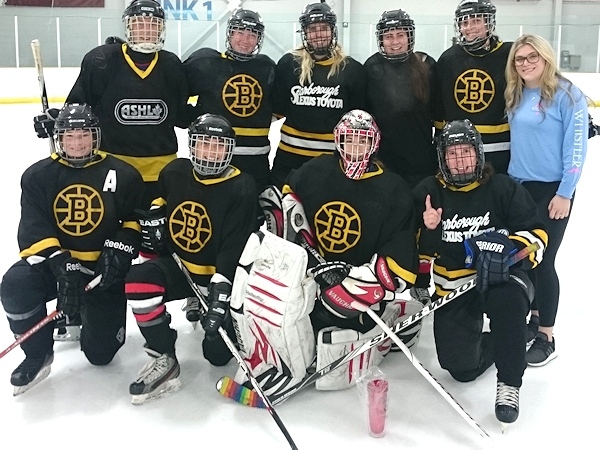 The Ladies Summer Hockey League is a non-contact league, aimed at keeping hockey fun! Celebrating our 30th Anniversary this summer!!! The summer of 2019 will be the 30th season of our summer league which plays on Sunday nights (no long weekends) out of Chesswood Arenas. This year the league starts on Sunday May 5th with the Finals taking place on August 18th. As usual, we will offer four seperate divisions. Game times are expected to be as early as 5:30 PM and as late as 9:45 PM. We welcome both team and individual entries. For more information, please contact Laura at 905-790-0911. Summer 2019 will be the 18th season of our Wednesday summer league which plays out of Westwood Arena. This year the league starts on May 8th with the Finals taking place on August 14th. We expect to have two divisions of six teams each. Start times are as early as 7:45 PM and as late as 10:00 PM. 2018-2019 is the 22nd season of our winter league which plays on Tuesday nights out of Chesswood Arenas. The league started on September 25th and runs until the Finals on March 26th. This year we have two competitive slap shot divisions; the higher division with four teams and the lower with twelve teams. Start times are as early as 7:15 PM and as late as 10:45 PM. We only accept team entries but interested players should contact Laura at 905-790-0911 and advise your name, position, level played and contact number/email. This information will be passed along to any teams if they are looking for individual players. Please note that we are not affiliated with the OWHA, and that insurance is not provided. 2016-2017 was the 15th and, unfortunately, final season of our Wednesday winter league which played out of Westwood Arena. The Rexdale Women's Hockey League is an OWHA sanctioned Senior Recreational league which plays out of Westwood Arenas on Saturday nights at either 7 pm or 8 pm. The season starts at the end of September and goes unitl the end of March. Only individual entries are accepted. If you are interested, please contact Laura at 905-790-0911. The Ladies Summer Hockey League is looking for referees and timekeepers. Please email Laura if you are interested.